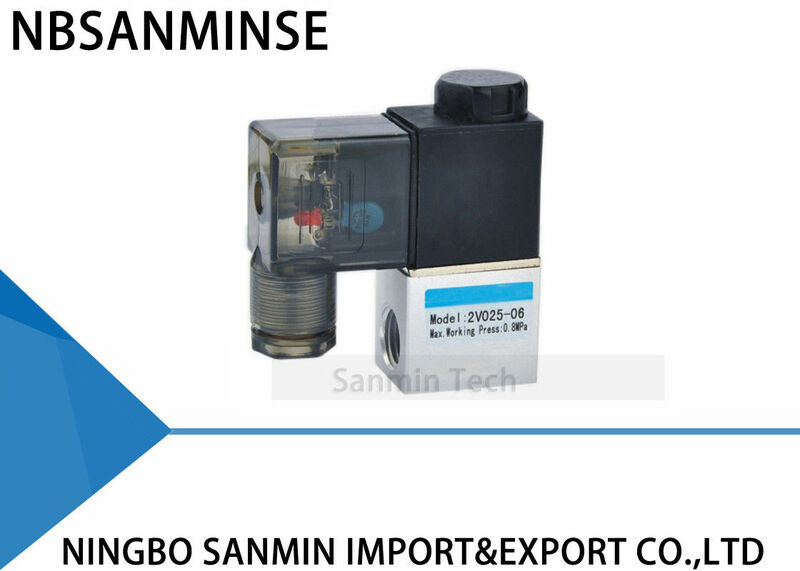 Direct acting and normally closed type 2/2 way solenoid valve , Its high sensitivity allows it to change direction quickly . The structure is small and compact . The valve body is made of brass which is heat resistance and the coil conforms to Class B classification . The seals are made of fluorine rubber ( VITON) Which is suitable for several types of working medium . Before installing , be sure the valve hasn’t been damaged via transportation . 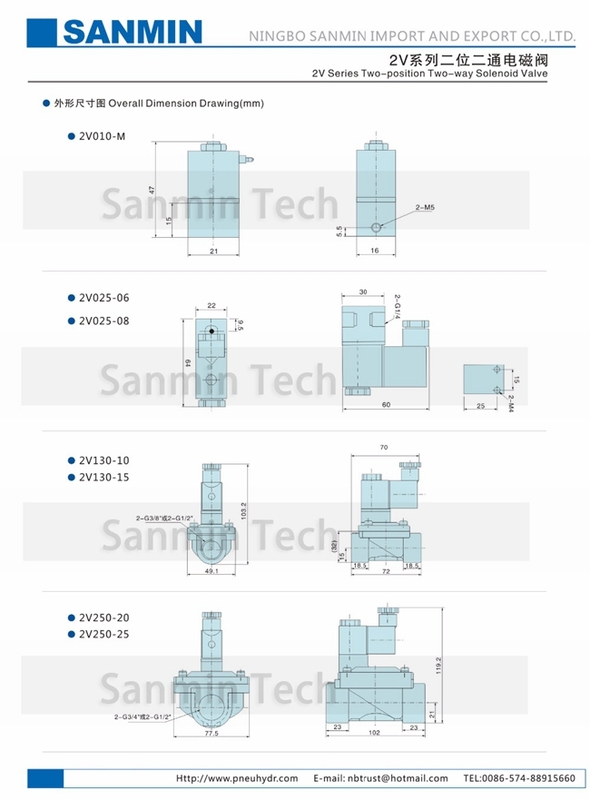 The coil must be pure vertical , the inlet and outlet on body must be horizontal , it’s suggested to use the medium lubricated by 40um filter element . Be aware of the flow direction and port size . 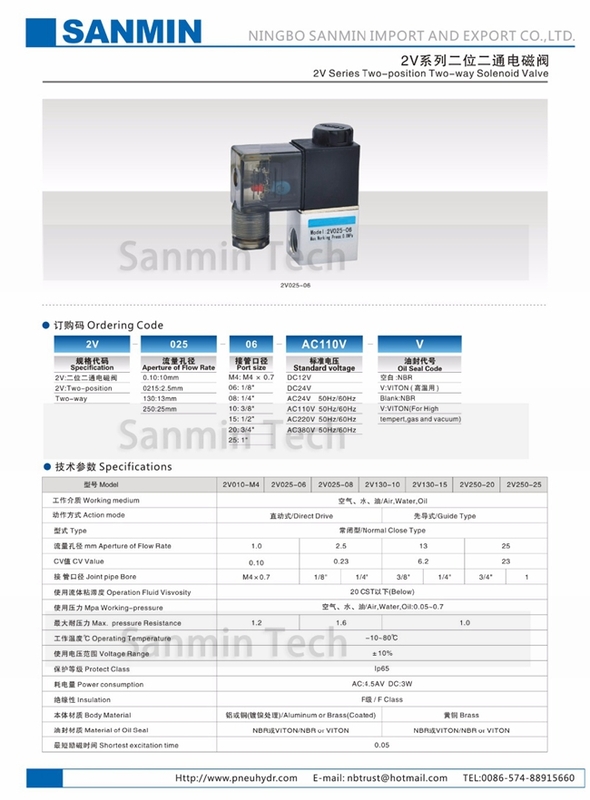 Please notice whether the installation condition accords with technical requirements (such as “ voltage “ , “actuation frequency” , “working pressure “ and “scope of application temperature” ) , Then the equipment can be installed and used . Take measure to avoid vibration and frozen . Before using the fittings and tubes make sure they are clean . When connecting to fittings , be sure the PTFE Thread Seal Tape is used correctly . To keep the dust away , Default paragraph font ; Never forget to install dirt – proof boot in air intake and outlet during dismounting .